There are so many fun ways to incorporate practice and skill-building into outdoor games. Whether you’re an SLP, OT, PT, BCBA or behavioral therapist, consider trying these ideas when staying inside just won’t do! This old-time favorite – perfect for behavioral therapists – gets kids moving, and provides practice for self-control and self-monitoring. 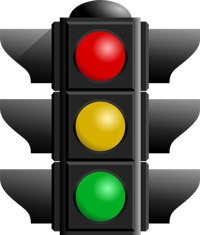 Players must respond to verbal cues (the phrases “red light” and “green light”) and “stop” or “go” on command. This game can provide a great boost for those struggling with executive functions. These very same commands can sometimes be adopted by parents in situations where a child may need to stop certain behaviors. Here’s another classic game that requires players to listen and follow instructions – something critical to progress in speech therapy, occupational therapy, physical therapy, and behavioral therapy. You can act as Simon, or when possible, children can take turns leading the game. Simon Says is a fun way to encourage both speaking and correctly interpreting demands. As part of OT practice, have children work on remaining in their own space while playing—like a chalk circle or a hula hoop. 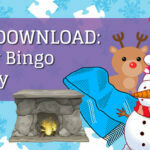 BONUS: For a great—and FREE–downloadable communication board to aid in therapeutic play, check out this site! While this is most definitely an unofficial title, the game itself is sure to inspire some giggles, making it perfect for outdoor play. Have students stand in a circle and take turns saying one fact about themselves using full sentences like “I like hot dogs.” Students who agree with the statement jump as high as they can. Students who don’t, quickly sit down. It doesn’t get any simpler than this crowd-pleaser! It’s perfect for school-based therapy sessions where social interaction and friendship are the focus. For this therapy game, you’ll need at least two players to be statues and one player to be the guesser. You can act as the statue maker. To begin, statues should decide what character or emotion they’ll be acting out. Creating a list ahead of time makes it easier for kids to choose, and also helps prompt the guesser. Spin the statues around slowly twice and when you let go, they must freeze into position. Bring the guesser to each statue where they press a “button” to have the statues act out their role. The guesser must then guess what they are. There are many different versions, and the rules can be adapted. Overall, this game is great for speech and language therapy – as well as behavioral therapy – with nonverbal language, role play, facial expressions, impulse control and inferencing being addressed. Gather up a small group (at least three players) along with a soft ball, and get ready to work on categorization and short term memory. The game begins with the person who is “it” stating a category. You can adapt this by providing a list or having players pick out of a container. Each player then names an object from the category. The “it” player throws the ball into the air and yells out the name of one of the mentioned category items. The person whose item was called runs to get the ball while the other players run away. When the player retrieving the ball yells “spud” the other players must freeze. The person with the ball takes three big steps towards any other player while naming three more items from the initial category. The player with the ball throws the ball at the player. If the other player gets hit, they get the letter S. If the player catches the ball, the thrower gets the letter. Play continues until someone spells SPUD. Hopscotch works well with any SLP drill activity, but especially articulation. Instead of drawing numbers in your hopscotch grid, draw pictures beginning with the sound you’d like to focus on. To play, have kids toss a rock onto the grid, hop to it and say the word that is in the square. Slightly different from “Duck, Duck, Goose”, “Duck, Duck, Grey Duck” incorporates attributes and works on active listening, attention and using descriptors, so behavioral therapists can help children struggling with ADHD symptoms and speech-language pathologists can assist children experiencing expressive language delays. Players sit in a circle and one person is “it.” The player who is “it” walks around the circle lightly patting other players while naming an attribute (ex. curly haired duck, duck who went to Disney World last week, etc.) When the “it” player says “grey duck,” the person who was tapped chases him or her around the circle. 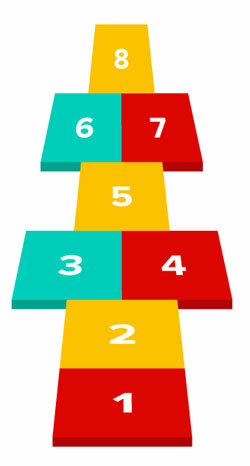 If he or she tags the other player, the “it” player continues to be “it.” If the runner reaches the open spot and sits down, the new player is “it.” The game provides good opportunity to ensure kids are being gentle while tapping heads and is a great way to help them state friend facts. For this game, you can purchase one of the many pre-printed versions of these balls, or create your own using a large play ball and Sharpie marker. There are versions with simple conversation starters, such as “what’s your favorite food,” and others that focus on self-esteem with phrases like “I can make a difference by…” Players toss or pass to each other and respond to the prompt that’s under their thumb. Only the person with the ball may speak while others listen, promoting interpersonal skills like turn taking, eye contact, listening, responding and more. Get creative and develop a scavenger hunt to help children practice skills in speech therapy or OT sessions. For inspiration, check out this cool Outdoor Motor Sensory Scavenger Hunt from The Inspired Tree House. Tag is the perfect way to get any group up, outside and moving! Both pediatric occupational therapists and pediatric physical therapists will want to experiment with versions that target endurance, strength, coordination, and more. The Inspired Tree House offers some great ideas, including Ghost Tag, Blog Tag, Animal Tag and Line Tag. You can check them out here! What are YOUR favorite outside games and activities? In the comments section below, please share what you’ve tried and what has worked for you in your therapy practice.